"I love all the elements, from the books -- mostly from the novels; going back to Ian Fleming is where I started with Skyfall -- and there's certainly elements of the movies and the novels that we've brought into the new movie, as they did into Skyfall." The site also speculates that Blofeld could make a return to the franchise as Danjaq has now settled the long disputed Thunderball rights that have prevented them from using the character or SPECTRE in recent years. While I've largely stepped away from the world of Bond fan forums and speculation about the movies (it's too intense), I will just offer up my own gut feeling that, yes, I believe the villain in Bond 24 will be Ernst Stavro Blofeld. Might the novel elements Logan hinted at be the Garden of Death from You Only Live Twice, one of the better unused ideas from the Fleming novels? Bond 24 will be released on October 23, 2015 in the UK and November 6th, 2015 in the U.S. So does this mean we finally get to see screen Bond fight a giant squid? Personally, I hope they don't re-use things that have been used before, including Blofeld. There are plenty of un-mined elements of the novels without doing anything to re-make or re-use what we've already seen on-screen. 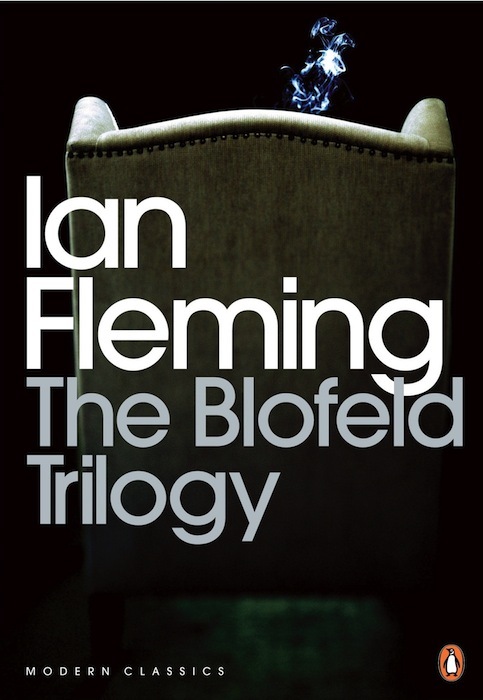 I agree about tapping unmined elements rather than revisiting things, but I really DO want to see Blofeld come back! Because to me, a lot of his best characteristics and moments from the books remain untapped on screen, despite all of his previous screen appearances! Like John points out in the article, the Garden of Death from YOLT would be great to see. Pretty much ANYTHING from YOLT would be great to see. I love the idea of a madman in samurai armor holed up in a castle in Japan! But to get there, they'd probably need to do at least one other film with Blofeld first, introducing him before he's gone completely, totally off the deep end. So I welcome the potential return of Blofeld... AND unused elements from the books! If you bring back/reintroduce Blofeld it might lead to SPECTRE, Tracey's love interest and death. Don't rehash,keep it fresh! At least Blofeld should mean they won't deck the next villain in a ridiculous blond wig. I have one slight concern- while I'd love to see Blofeld return, I hope they don't cast someone younger than Bond in the role. It would smack a little too much of Andrew Scott's exceptional portrayal of Moriarty in "Sherlock". I'd rather see a classic 'father-figure' Blofeld villain. Although, the return of SPECTRE would be cool. It might be the organisation that Silva was referring to when he had Bond tied to the chair and spoke of an organisation where you "choose your own missions". SPECTRE certainly sounds much better than Quantum. I would be open to a new Blofeld, but I hope they don't just ditch Quantum, because whatever I thought of Quantum of Solace they can't just leave that hanging. How's about Quantum appears at the beginning as a major threat, but gets obliterated by SPECTRE? Keep it simple by having Blofeld blow away Mr White. When I was a child, I'd often ask my Mother; "What do fish eat?" "Smaller fish", was always her reply. Reading Thunderball it's mentioned that the organization renamed several times before SPECTRE became the then-current name. So why not let them rename Quantum again since the name catched some attention in QoS. As much as I undestand many would not like to see elements re-used I would love to see the main ingredients of OHMSS (the book) becoming the story arc of Bond 24 and some elements of YOLT (the book again) the story arc to some degree of Bond25. Since I thing Craig will do just 2 more Bond films this would be my preference to "do the full round".